The New York Bee Gees Tribute Show is comprised of some of Long Island New York’s most versatile and exceptionally talented players. The band includes present or former members of well known, world renown acts including The Alan Parsons Project, Happy Together Tour, Meatloaf, Queen, Blue Oyster Cult, Riot, Herman’s Hermits, Enrique Iglesias, The Rippingtons and more. Based in New York the show has played to sell out shows at The Paramount Theater and BB King NYC. Performances are regularly at The NYCB Theater at Westbury, Resorts World Casino, Empire Casino, The Suffolk Theater. B.B. 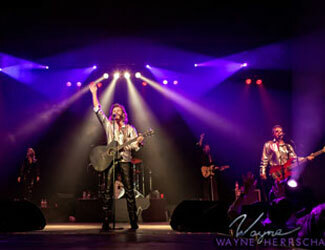 King NYC wrote, "The NY Bee Gees Tribute Show presents the most extravagant Bee Gees show a fan can experience. The band offers all of the classic 70’s disco hits from Stayin’ Alive to Night Fever while embracing their early works such as To Love Somebody, I’ve Got To Get A Message To You and Massachusetts. The New York Bee Gees delivers songs from every decade of the Bee Gees catalog with a stunning production, powerful vocals and the professional stage presence to fill any club or casino."